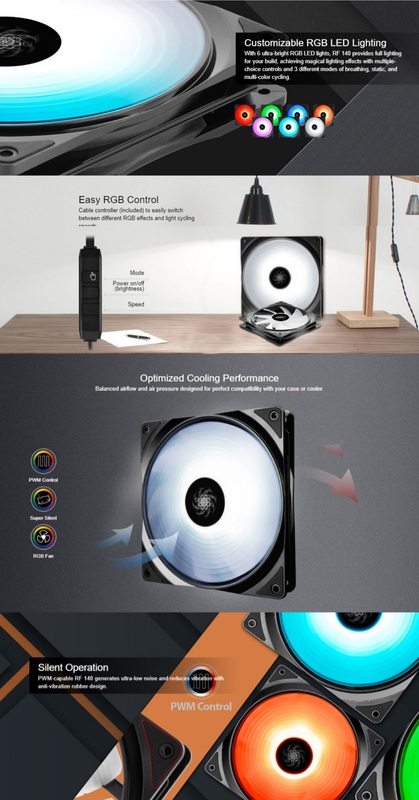 The Deepcool RF-140 140mm RGB Fan features 6 high brightness RGB LED lights for impressive lighting effects while intelligent PWM functions meet system cooling demands. It pushes up to 64.13CFM while producing between 19.8~24dBA. 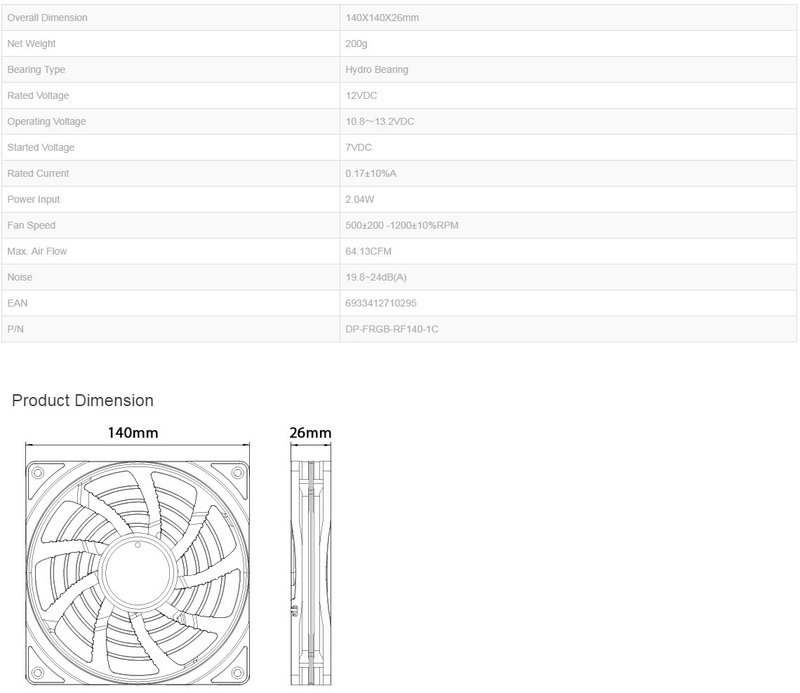 It also features an anti-vibration rubber design for noise and vibration reduction and the RGB lighting supports multiple control modes such as breathing, static state, or multi-colour cycling.